Anthropologists, who studied the dental tartar found on the ancient teeth of a prehistoric woman who lived and died 18,700 years ago, discovered microscopic traces of pine pollen, seeds and meat, as well as several species of mushroom spores. These findings shed new light on the stone age diet, revealing that mushrooms have been a food source for many thousands of years. Valued by ancient Greeks, Romans and Chinese for their culinary uses and health promoting properties, mushrooms remain a highly regarded delicacy savored for their unique flavor and nutritional content. Mushrooms provide selenium, potassium, riboflavin, niacin, fatty acids, proteins, amino acids, fiber and vitamins C, D and E. Found in many international cuisines, fungi are also utilized to make cheese, alcohol, beer and bread. In addition, many species are recognized for their nutraceutical properties, including immune system enhancement, cholesterol lowering agents, and bioactive, antibacterial and anti-tumor compounds. 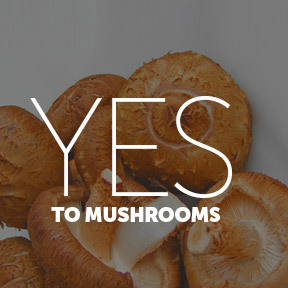 As a result, certain mushroom species in whole and dried form are used to promote wellness. Perhaps more importantly, fungi are widely utilized in pharmaceutical manufacturing. Amoxicillin, a semi-synthetic penicillin, three prescription anti-cholesterol statins, and the immunosuppressant drug cyclosporin are all derived from fungi. The discovery of fungi’s antibacterial properties, and hence the development of penicillin, cemented the value of mushroom’s germ-killing lifesaving power. Today, not less than five top antibiotics are produced from fungi. The wide spread use of statin medications to control heart disease by removing cholesterol complexes from blood vessels, effectively reduces the risk of heart attacks, strokes and diabetes. Cyclosporin, a fungal anti-rejection metabolite, is widely used after bone marrow or organ transplants. By binding to certain proteins, cyclosporin suppresses the proliferation of T-cells, thereby preventing rejection of transplant tissue. As a result of their evidence-based synergistic biological properties, medicinal mushroom extracts or powders are widely utilized for health maintenance, the prevention and treatment of diseases, and the alleviation of oxidative stress. In addition to their nutritional components, numerous bioactive polysaccharides appear to enhance innate and cell-mediated immune responses. Identified bioactive compounds have been shown to have anti-inflammatory, antioxidant, antiviral, antibacterial, antiparasitic, anticholesterolemic, antidiabetic and immunomodulating properties, as well as cardio- and hepatoprotective effects. Medicinal mushroom species include chaga, reishi, turkey tail, shiitake, lion’s mane and cordyceps. Combining multiple medicinal mushrooms when supplementing can increase their potent and synergistic effects. Antioxidant activity – Cellular free radical damage contributes to increased risk of illness and chronic disease. Dietary antioxidants help to counter adverse health effects. Reishi, cordyceps and chaga medicinal mushrooms are known to possess strong antioxidant properties and may significantly increase total antioxidant capacity. Immune system function – Chaga, reishi and shiitake mushrooms contain immunomodulating properties that support the production of two important immune system components, natural killer cells and macrophages. Glycemic control – Polysaccharides, or beta-glucans, found in maitake mushrooms, have been shown to help regulate blood glucose and insulin levels. Maitake glycoproteins may also improve insulin sensitivity in insulin resistant individuals. Cognitive function – Lion’s mane’s long history of use in Traditional Chinese medicine is due to its neuroprotective compounds that stimulate healthy cell-signaling and support neuronal growth, maintenance and survival. Lion’s mane may also support concentration and cognition, as well as healthy mood. Exercise performance – Cordyceps increases metabolic efficiency, increasing blood flow and enhancing endurance. Cordyceps may improve stamina in athletic performance by stimulating the production of ATP, the main source of cellular energy. Lion’s Mane by Organic Mushroom Nutrition: This 100% organic single ingredient formula supports cognition, focus, creativity and mood, as well as the growth and normal function of nerve cells. Gluten, sugar and soy free, Non-GMO fermented vegan formulation. M/R/S Mushroom Formula by Pure Encapsulations®: TM/R/S Mushroom Formula by Pure Encapsulationshis dynamic blend of Maitake, Reishi, and Shiitake is formulated with whole plant bodies for optimal immune health and broad spectrum physiological support. Gluten and soy free, Non-GMO, hypoallergenic, vegetarian formulation. Chaga by Organic Mushroom Nutrition: Highly revered for its anti-aging properties, this 100% organic legendary mushroom is a natural adaptogen that provides high levels of antioxidants in support of metabolic balance. Gluten and soy free, Non-GMO, hypoallergenic, vegetarian formulation. Cordyceps 750 mg by Now Foods: Traditionally used for its energizing, adaptogenic, and free radical scavenging properties, Cordyceps mushrooms have numerous bioactive constituents. Cordyceps 750 is formulated to support a healthy immune response and promote normal vascular function. Gluten, soy, and dairy free, Non-GMO, organic, kosher, vegan formulation. Super Shiitake by Mushroom Wisdom: This synergistic formulation combines shiitake and maitake mushrooms with vitamin C in support of healthy immune and liver function, healthy cholesterol levels and overall wellness. Free of gluten, soy, wheat, dairy, preservatives and artificial ingredients. Lion’s Mane Memory & Nerve Support by Host Defense®: USA grown 100% organic Lion’s Mane provides cerebral and nervous system support, promoting mental clarity, focus and memory. Gluten free, Non-GMO vegetarian formulation. This entry was posted in Home and tagged Cordyceps 750 mg by Now Foods, Lion’s Mane by Organic Mushroom Nutrition, Lion’s Mane Memory & Nerve Support by Host Defense, M/R/S Mushroom Formula by Pure Encapsulations, Professional Supplement Center, Say Yes to Mushrooms, Super Shiitake by Mushroom Wisdom, Vitamins and supplements, www.professionalsupplementcenter.com. Bookmark the permalink.